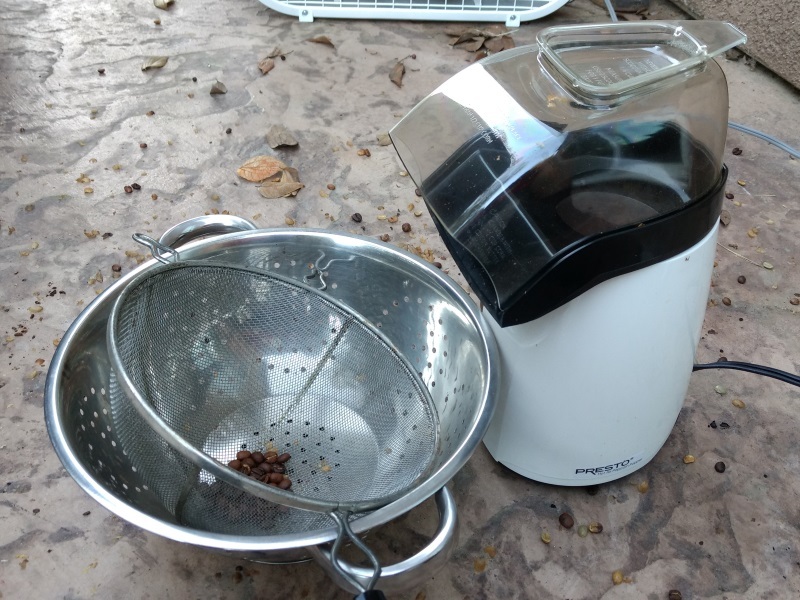 For my roasting, I've acquired an air pop popcorn maker. I'm more familiar with this method as opposed to pan roasting as I have roasted with the popcorn maker before. 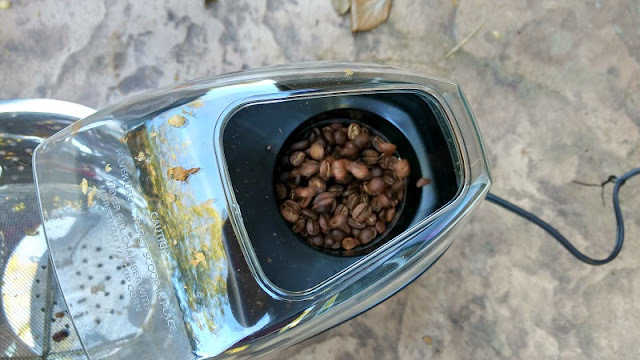 This thing is a lot easier and much quicker than pan roasting. 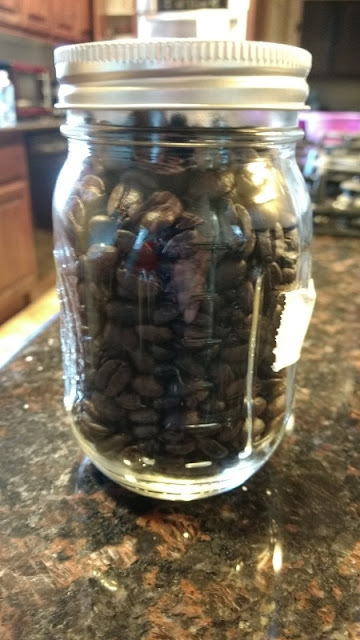 It gets the beans hot enough to dark Italian roasts. The whole process takes less than 5 - 6 minutes per load; the process can be easily streamlined with available colanders to cool beans down when another batch is loaded. With this as a roaster, it's important to remember that the beans continue to roast even after being removed. 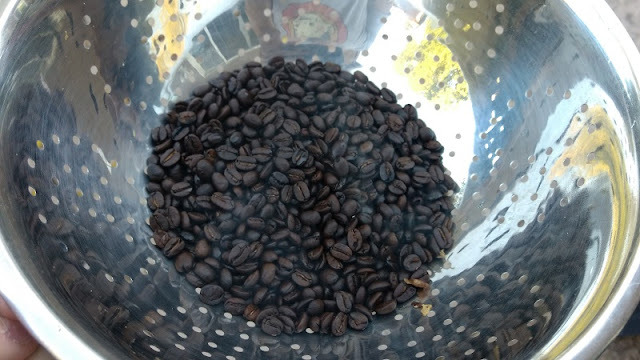 I've learned that removing the beans from the roaster at the desired color generally results in a more burnt bean. For a dark roast, it's best to remove during the middle of the crack when the beans look like the color below. 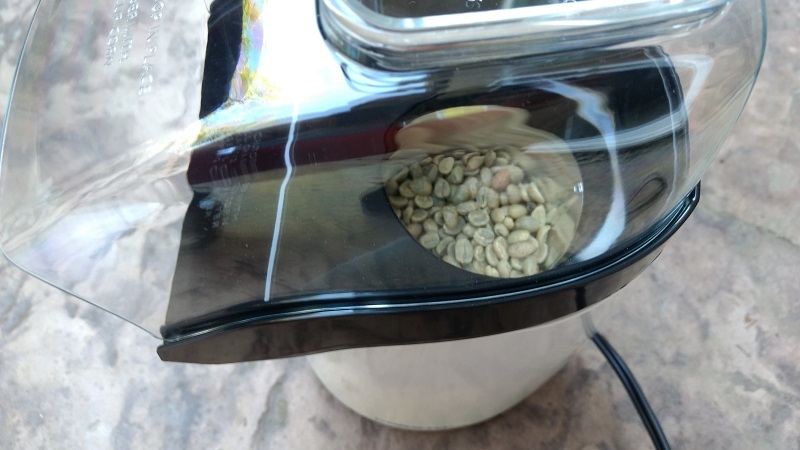 The key things are to not overfill the cup and to ensure there is adequate airflow of the beans. A wooden spoon or wire whisk can be used to ensure bean movement. A single burnt bean stuck to the side of the wall can easily cause a fire. The telltale sign of that happening is a large cloud of billowing smoke from the roaster! All in all, pan roasting the beans on a BBQ grill can't hold a candle to the popcorn maker. 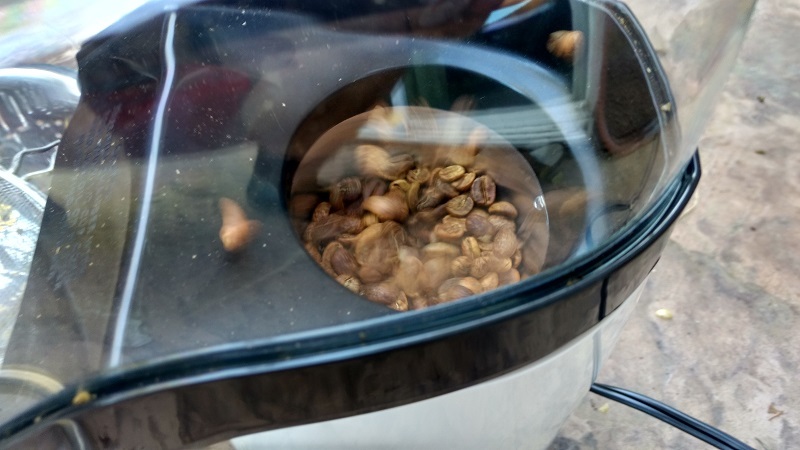 I strongly urge going the popcorn popper path when starting out roasting coffee. For next time: Continue roasting this way. Find the adequate amount to load in each cycle.